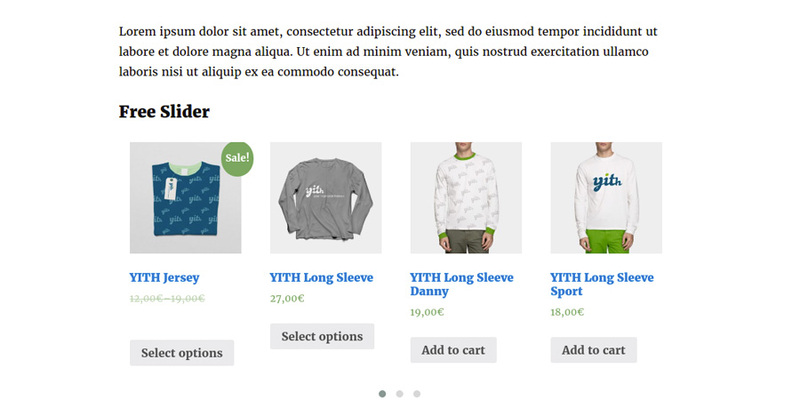 Use the shortcode that you find in the lowest part of the section Content Settings to add your product slider in your site pages. 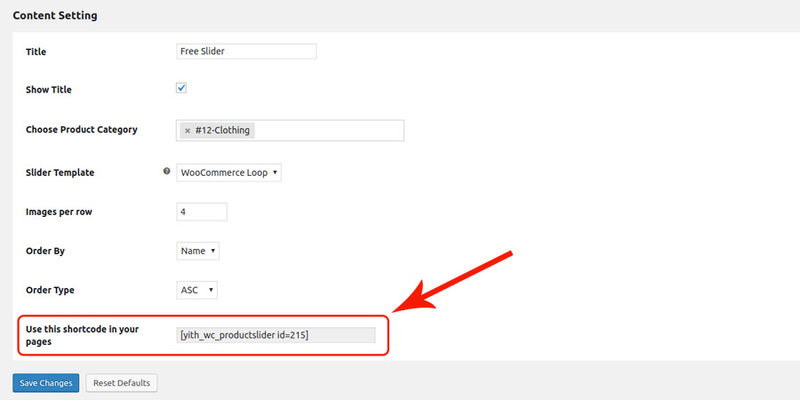 Copy and paste the shortcode suggested by the plugin and that’s it! 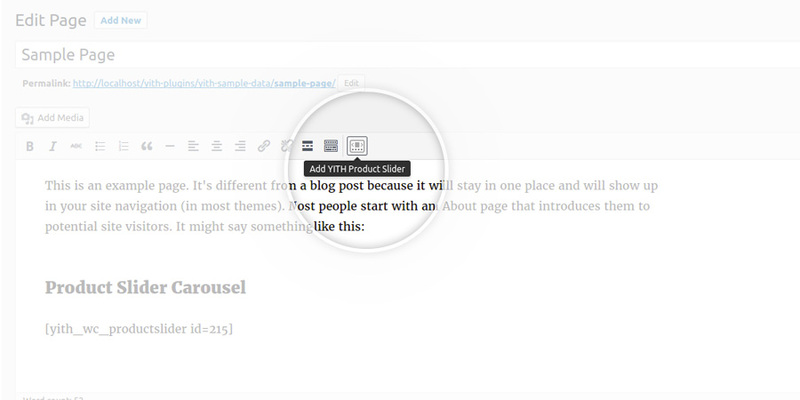 Moreover, you can also enter the shortcode in WordPress editor, using the specific button made available by the plugin in “Visual mode”. In both cases, the result will be similar to the following one.